The most impressive characteristic in palm-trees is definitely their long, large leaves, that spread like an umbrella around the trunk. 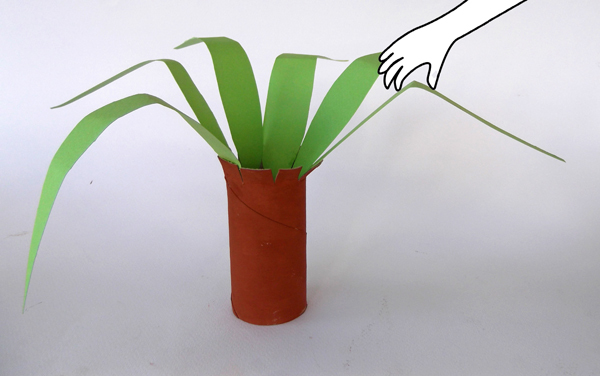 Did you know that Raffia palm-trees have the longest leaves in the entire plant kingdom? A piece of colored paper (green color). 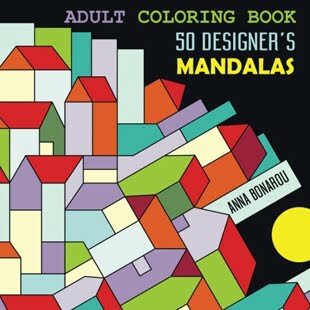 Watercolor paints suitable from kids. 1. 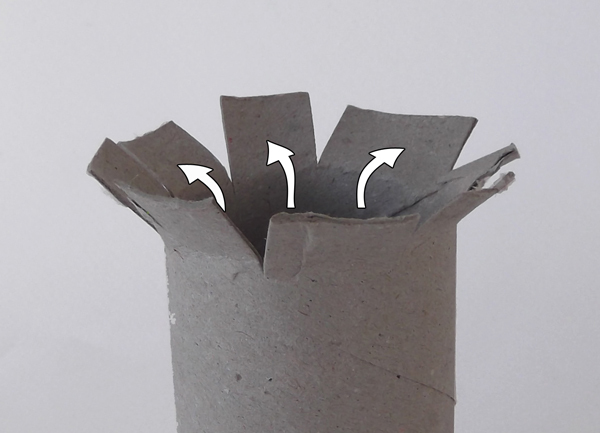 Take a toilet paper roll. 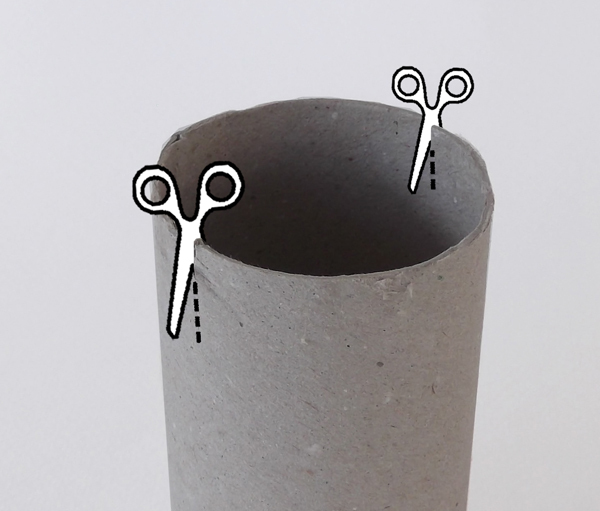 With scissors make two small slits at the top edge of the roll, one slit across the other. 2. 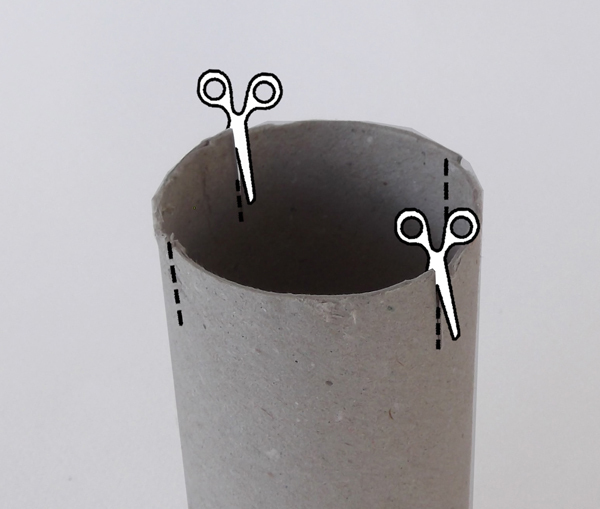 Make two more slits, one across the other, between the previous slits. 3. Make four more slits, between the previous slits. 5. 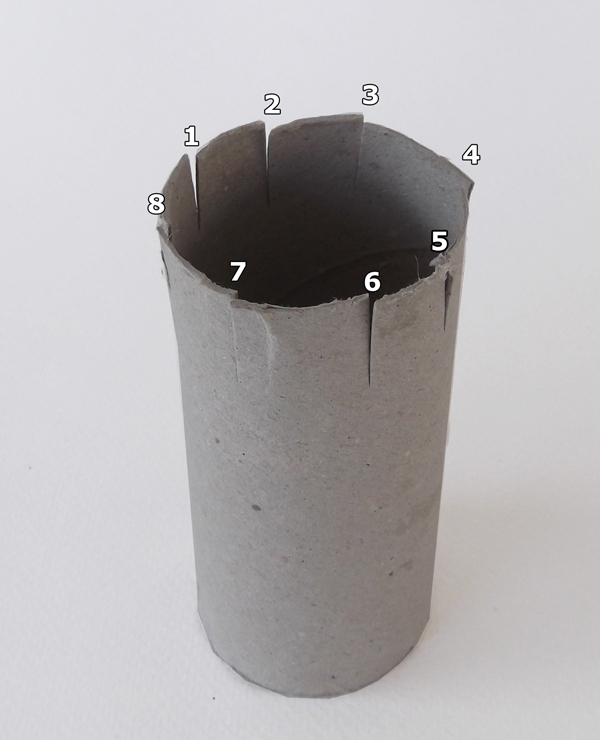 The slits at the top edge of the paper roll must be eight in total. 6. Bend outwards with your finders the eight "branches". 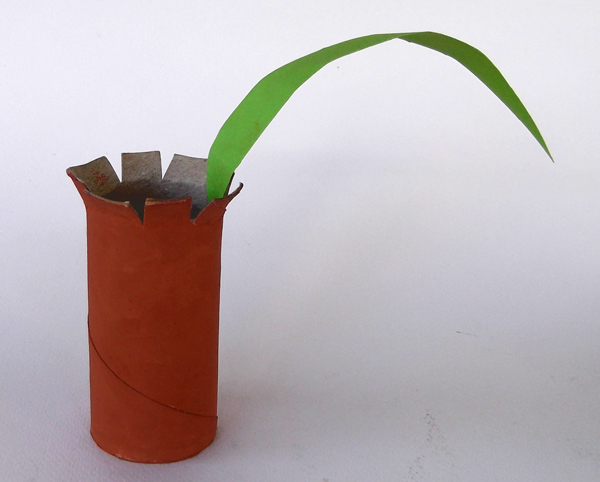 These branches will work as a base for gluing the leaves. 7. 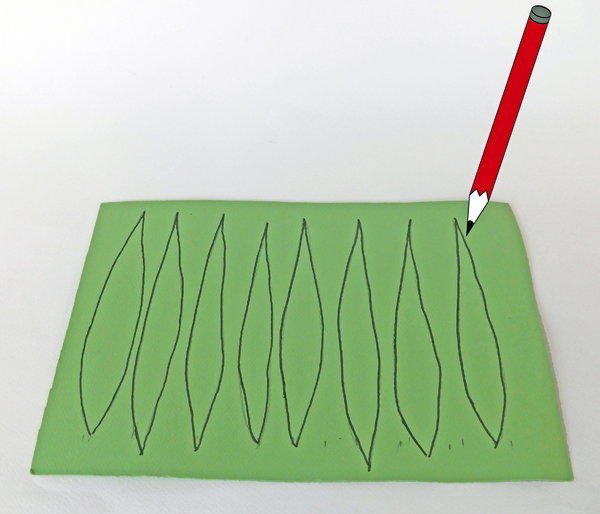 Take the green piece of paper and draw with a pencil eight long leaves. 8. 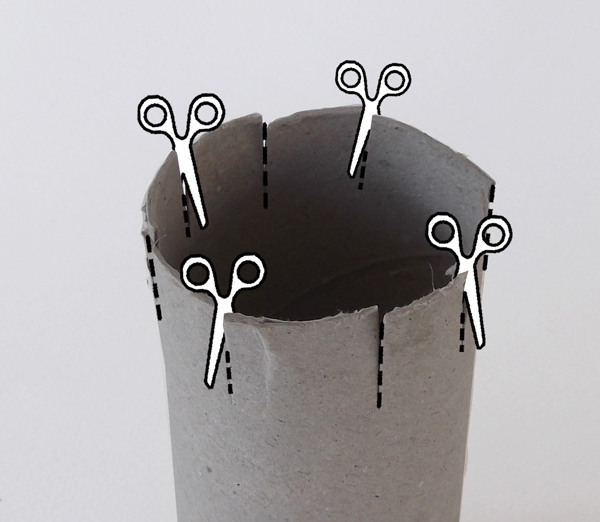 Cut with scissor the leaves. 9. 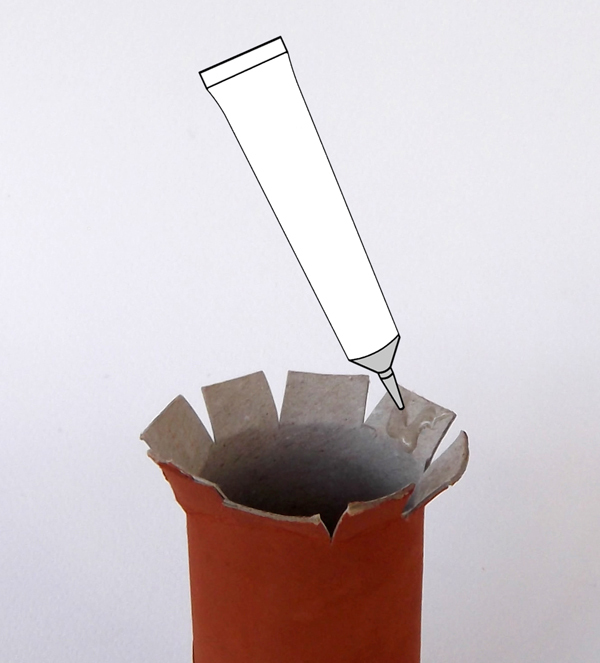 Apply glue at the inner side of the branches of the paper roll. 10. 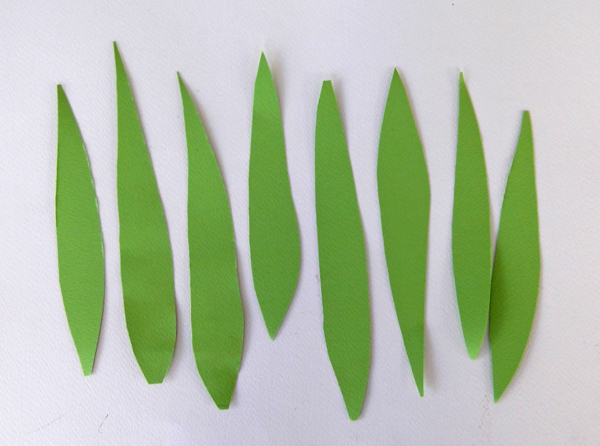 Glue each leaf in each branch. 11. 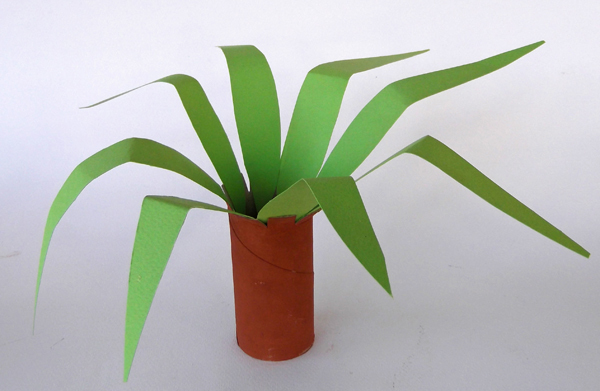 Fold gently with your hands each leaf trying to give the shape of a bended palm-tree leaf. 12. 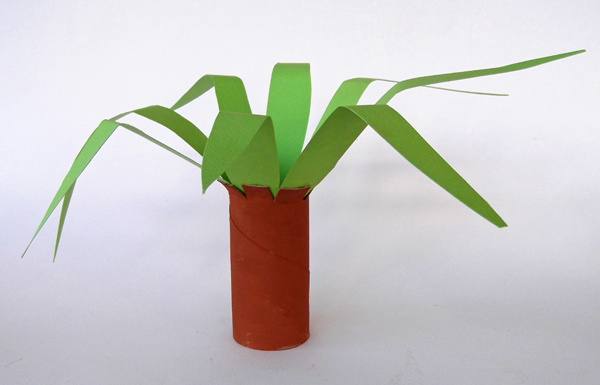 After gluing all the eight leaves, the palm tree is ready. Note, that you can also paint the trunk with watercolor paints.